Got an issue? … Have a tissue! 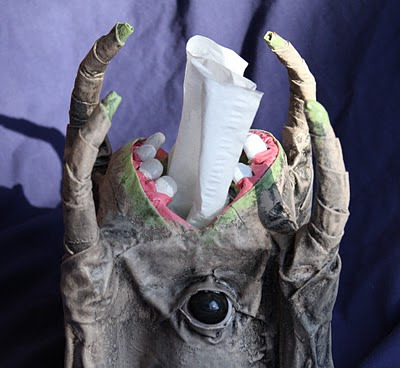 But you'd better be quick about it if you want to make a kleen-exit, or this dispenser may dispense with you! This hygienic accessory lurks patiently on your end-table waiting for someone to get a sniffle. Perfect for households trying to economize on tissues. Psst! Hey, Buddy! 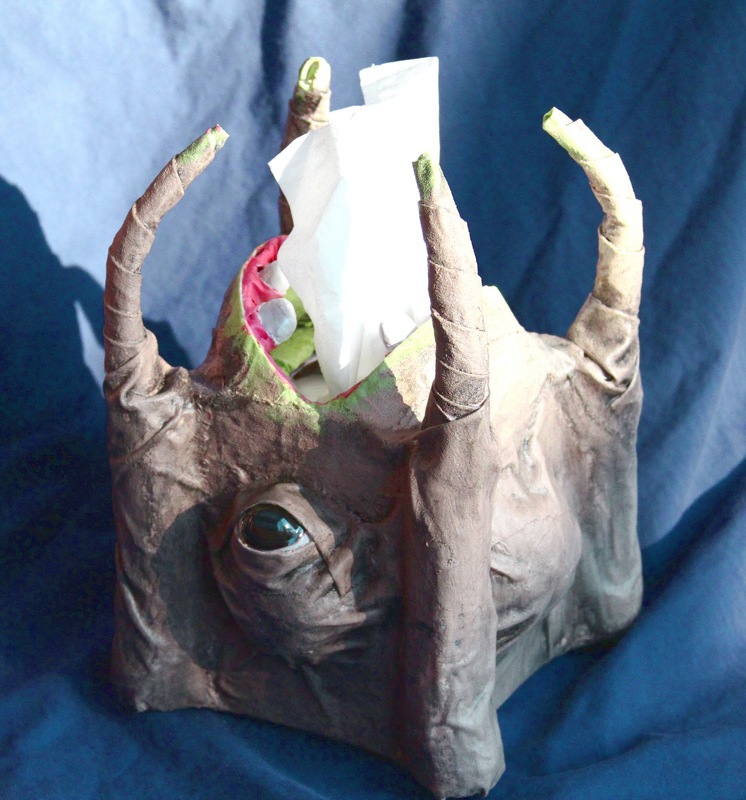 Need a tissue? 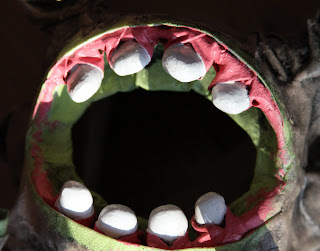 Materials: cardboard, paper-mache, cloth and hobby clay, taxidermy eyes. I really liked the way the eyes turned out - very creepy. C'mon ... you know you want one! "You know how to whistle, don't you, Steve? You just put your lips together and... blow."